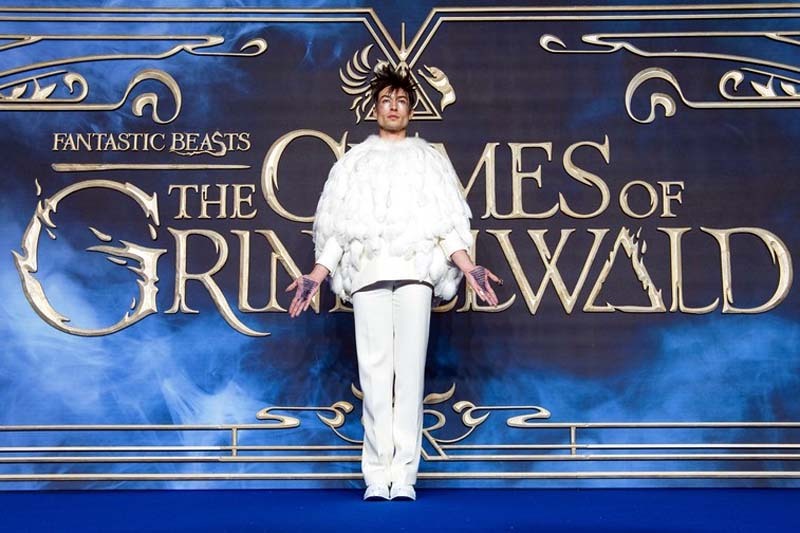 For the UK premiere of "Fantastic Beasts: The Crimes of Grindelwald," Ezra Miller dressed as an owl. Important public service announcement: Ezra Miller made another red carpet appearance, and it was epic. 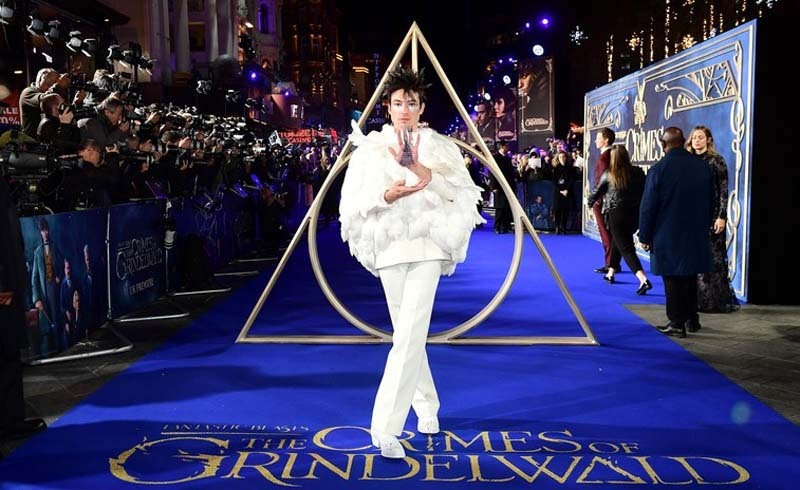 Just days after convincing me that a puffer jacket/dress combo is a fashion necessity, the star of Fantastic Beasts: The Crimes of Grindelwald served a fashion and beauty tribute to Hedwig the Owl. The look, which he wore to the UK premiere of Fantastic Beasts on Tuesday, November 13, proved to be more spellbinding than literally anything that was ever worn at the Yule Ball. For his latest statement-making red carpet appearance, the actor opted for an all-white Givenchy look, which he paired with magical makeup. The ensemble started with his hair, which Ezra wore spiked in various directions. He colored the ends a grayish white, and showed an undershaved area that appeared to be dusted with shades of metallic glitter. The inclusion of glitter continued into his makeup; Ezra coated his cheeks and the area immediately below his eyes ears in silver and white sparkles. As if the fantastical use of makeup wasn't enough, Ezra took the IRL Hedwig outfit a step further and wore a white coat covered in fluffy feathers. He matched the top to his shoes and pants, and then he strolled on down the red carpet looking like an angelic owl. my new hero Ezra wrote Avada Kedavra in a triangle-shaped pattern.